VegasTechFund backed Local Motors, Inc. announced the launch of a new vehicle design challenge for one of its most popular projects, the Track/Street Car Platform Project. 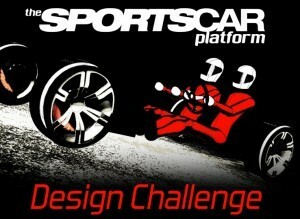 This exploratory development project is designed to engage sports coupe and racing fans in the design of a new vehicle platform. The challenge, launched on July 27, 2014, will run through August 28, 2014. More than $10,000 in prize money will be awarded when the winners are announced on September 18, 2014. Since it’s founding, Local Motors has empowered a global community of designers, engineers, automotive enthusiasts and makers to deliver locally relevant vehicle innovations faster and more affordably than traditional vehicle manufacturers. The Local Motors Sports Car Platform Design Challenge represents two exciting opportunities to further this commitment to vehicle innovations. Learn more about the challenge here.